Last Quarter Moon in Scorpio on January 27 focuses our attention on issues of passion, compassion and the dark secrets of our life. The Last Quarter Moon in Scorpio urges us to release stored tension. This is a good time to find release for our emotions without imposing them on others. Mars in Aries is square Pluto in Capricorn (February 1 – March 9). Mars emphasizes all forms of action, while Pluto represents the transformational powers of destiny. These two planets in the square position spell out the potential for trouble with regard to our actions. Strong disruption between generations is likely to occur at this time. This aspect does imply that this is a more likely time for an attack to occur from power-driven sources. It is best not to bluff those of a higher or unanticipated authority at this time. Aries: Life becomes a little easier this week as the Sun drifts into your pleasant social zone, taking some of the pressure off, and Mars moves away from a tricky alignment with Saturn. Now you can make some progress, but you’ll have more opportunities for fun too, as social invitations are likely, whether it’s meeting up with friends or getting out and about to experience stimulating people, places and ideas. There is also a visionary aspect to this week in the sense that you might get an inkling of your future and how you could make something happen. Take your ideas and run with them. Join forces with others, as this is a good week for teamwork and group endeavors. You will have both allies and opponents this week, and you will need to make sure that those in positions of power don’t influence or push you, causing you to lose sight of your agenda. Stay true to yourself and gather like-minded people around you to help you on your quest. Taurus: Your career or direction in life begins to shape-shift this week, being one thing one moment and something quite different the next. You might be on the move a lot, or you might be ripe with ideas and excitement. Perhaps you are navigating between two roles or two places. Although there may be a lot going on, potentially leaving you feeling a bit wired, the plus side is that you’re in a great position to negotiate a better deal, a different role, or a promotion. You might have an opportunity to share your ideas with the perfect audience. The name of the game is communication, and those in authority will listen to what you have to say, so don’t hide your light under a bushel. Just remember to properly unwind at the end of the day. Gemini: There is a much lighter feel to this week as the Sun and Mercury move into your travel and adventure zone. Your thoughts begin to lighten, taking on a much more optimistic feel. This is a great week to go on an adventure, enjoy a brisk walk, explore new territory, or accept an invitation that pushes you slightly out of your comfort zone. It’s only when we try new things and experiences that we come alive, and this is what you can look forward to this week. The bigger purpose of this transit, though, is to identify what gives you a sense of meaning and to incorporate more of these things into your life. Cancer: A problem shared is a problem halved, and it probably doesn’t matter whether it’s your voicing a problem or listening to someone else’s, as the purpose of this week’s planetary occurrences is to connect more deeply with others. Allowing your weakness to be exposed or providing strength and support to others will help to create stronger connections between you and others. It also could help you both feel better. It’s a good week for financial negotiations, so whether you need a loan or something else, this is the time to ask for what you want. Leo: The time for communication is here as the Sun and Mercury align in your relationship zone. Now is the time to listen to others, or one person in particular, as you mange to air your thoughts and feelings. Much progress can be made in your personal life by communicating effectively. One-on-one encounters are the focus this week, whether it’s with your partner or someone else. If conflict arises, know that this can be creative, as it will enable you to see yourself more clearly, but it should be fairly easy to resolve disagreements, because your capacity to listen to others is increased now. All that’s required for healing to take place is to listen with your heart. Virgo: Psychosomatic illnesses are well known in the medical field; these cases of illness or mysterious symptoms for which there is no known cause might be a product of the patient’s imagination. Of course, the imagination is a powerful thing, as hypnosis proves, and we all need to be careful what we think lest we bring it to pass. This week, as Mercury aligns with the Sun in your health zone, be mindful of your thoughts and how they might affect your body. Anxious, worrisome thoughts will not do you any good. The best antidote to the restless energies of this week is to ground yourself and try to put things in perceptive. Libra: Creativity, romance, art, children, and self-expression are the favorable activities for this week. With Venus aligned to Jupiter, this should seem like a rather effortless week. If you have a creative idea you wish to pitch, it’s highly likely others will be amenable. In short, whatever you have to say will be well received, so make this the time when you get your message out there. It’s also a nice time to simply enjoy yourself from indulging your hobbies to taking time out to relax and have some fun. We all need to take time out to recharge our batteries from time to time, and this is yours. Scorpio: While the Venus-Jupiter conjunction continues to wave a magic wand over your financial affairs, ensuring your needs will be met, you can confidently switch your attention to other matters, namely your home and domestic life. This is a good time to express yourself to a family member by having a heart to heart or to clear the air with someone. You might feel it’s appropriate to make some changes to your home or to access your inner self through writing in a journal, analyzing your dreams, or talking with a therapist. Whatever you do, this week is an appropriate time to return to home base, whatever that that means to you, in order to stabilize your foundation so that you can start to build anew. Make sure that your dwelling is supporting you, not hindering you. Sagittarius: Your focus shifts this week to communication and what you put out into the world via your thoughts and beliefs. With Venus and Jupiter in your sign, chances are you will be emitting positive vibes, so events should go your way. Capitalize on this by getting your message out there, and work with the universe by asking for signs to help you make the right choices. All in all, this is a great week for all forms of communication – writing, teaching, learning, studying, interviewing and so on. If you have something you’d like to put out there, now is the time. Capricorn: “In life, you don’t get what you deserve, you get what you negotiate.” This sums up this week’s key to success as the Sun and Mercury align in your financial zone. Of course, it’s not just financial matters that you need to negotiate but also anything that causes you to feel you are lacking. This is a great week to negotiate a pay raise, ask a favor of someone, or negotiate a deal or a situation. The message behind the planetary movements is to not sell yourself short and to remember that if you don’t ask, you don’t get. Aquarius: Whether or not you managed to convince others of your needs around the time of last week’s eclipse, you are likely to find yourself in a better position to articulate your wishes this week. Mercury’s conjunction to the Sun in your sign gives you the gift of communication and makes it easier to explain how you feel, articulate what you want, or negotiate a compromise. 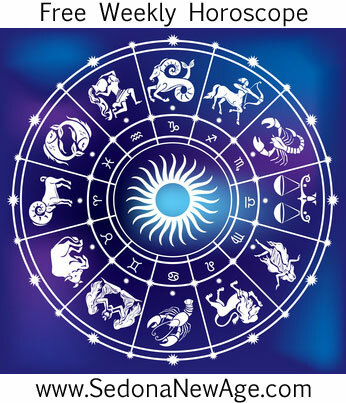 Essentially, it will be easy to express your point of view, but the downside of Mercury in your sign is an increased tendency toward nervousness, anxiety, or restlessness. You can counteract this by grounding yourself, especially in nature, feeling your feet on the earth, or meditating to calm your busy mind. Pisces: Whenever we don’t know the answer to something, particularly when it’s something personal, the natural tendency is to ask others what they think. Some of us research books, magazines or the internet for clues about what to do. However, with the Sun and Mercury in your soulful zone, you already know the answers. You just need to trust yourself. Listen to your body, and observe when you come alive or when you have a drop in energy. Notice how you feel, what draws or repels you, or just trust that little feeling that says yes or no. You can put out a prayer requesting the Universe to give you a sign. Sun 01° Taurus 11' 29"
Moon 28° Scorpio 59' 53"
Mercury 05° Aries 37' 13"
Venus 01° Aries 06' 44"
Mars 14° Gemini 02' 39"